How to Prepare Delicious Japanese Food, Chestnut Rice with Pacific Saury? Japanese people are sometimes called “90-day people” because of the importance of four distinct seasons into their life. Each of these four seasons is three months long. With a change in the season, climate of the country, fashion trends and even the food culture change. Autumn is almost there in Japan and leaves have started turning to the beautiful shades of orange, red and yellow. Lots of holiday events are taking place and stews and other hot dishes are being served to keep you warm, as the temperature go down. Autumn is the ideal season to celebrate the glories of Japan and oftentimes referred to as the “season of healthy appetites.” As this is the season of harvest, plenty of healthy and home-grown vegetable dishes can be found in the restaurants across the country. So, if you are planning a holidays in Japan around the winter season, enjoy the delicious Japanese food in autumn and do not miss to view the flowers change their colours. Various autumn delicacies have already started being found in the shops. If you are looking for the delicacies prepared with home-grown ingredients, you can go for chestnut rice with home-grown chestnuts as primary ingredient. You can accompany the delicious chestnut rice with another yummy autumn delicacy, Pacific Saury. Firstly, wash the rice and allow it to dry for around 30 minutes. Use sticky rice, not the normal white rice. Meanwhile, take a pan and boil the water into it. Add the chestnuts and bring them to boil again. Continue the boiling process for a few minutes. Now, take away the pan from heat and place the chestnuts into cold water. When the chestnuts are cool enough to handle with ease, use a knife to peel off their outer skin from the bottom to top. 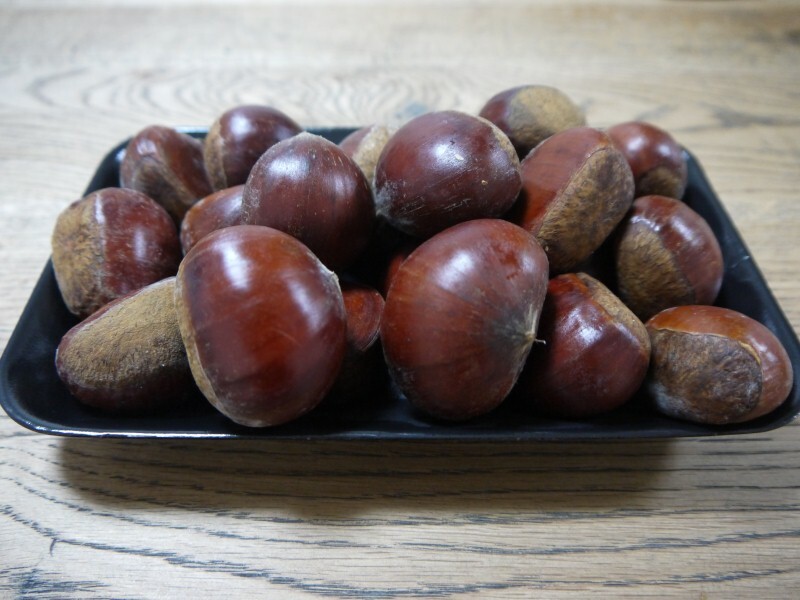 You will find another layer of skin underneath the chestnuts, peel this as well. As they easily get discoloured, place them in water soon after peeling off their skin. You can use a rice cooker and put dried rice in the cooker and add cut kelp, sake, salt and mirin. Add 330 ml water and place the chestnuts into the cooker. Switch on the rice cooker. It will take a few minutes for chestnut rice to cook properly. When it is done, add mixed grated black sesame seeds and salt on top of rice. While the rice is cooking, utilise the time in grilling the Pacific saury. 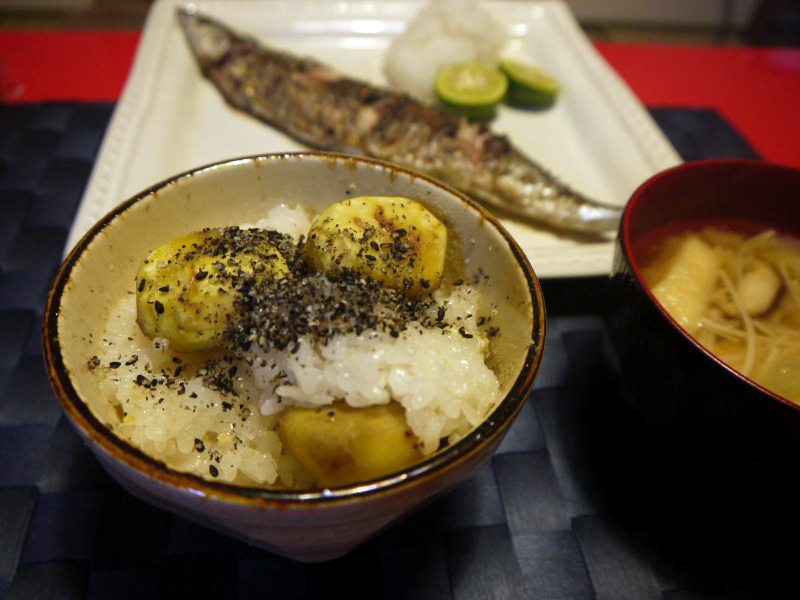 Enjoy the chestnut rice with grilled Pacific saury. So, do not forget to munch on this delicious dish while staying in Japan. You can also try other seasonal dishes made of home-grown ingredients.